Rep. Steve Cohen from Memphis calls for the dismissal of DNC staffers whose leaked emails questioned Bernie Sanders’ religiosity. 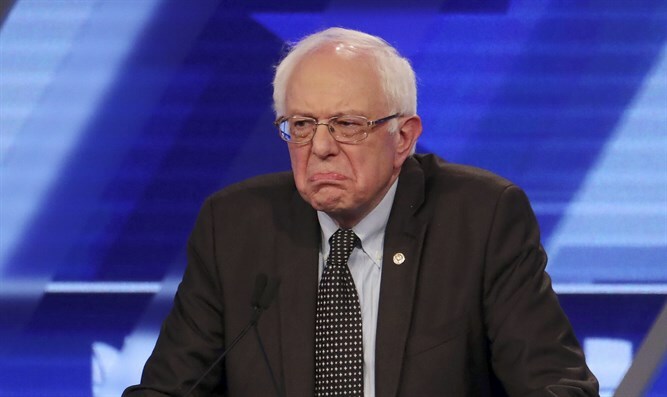 A Jewish congressman from Tennessee on Tuesday called on the Democratic National Committee (DNC) staffers whose leaked emails questioned Bernie Sanders’ religiosity to be fired. “For a party to question his religion, or lack thereof, as a way to defeat that person, those people should resign and if they don't resign they should be fired,” Rep. Steve Cohen, a Memphis Democrat, told his state’s delegation at the DNC in Philadelphia, according to JTA. "Some people will think, 'Oh well, politically we shouldn't do it and those people have done X, Y and Z for the party,’” he added. “But they crossed the Rubicon. They crossed the line." At issue is a May 5 email leaked Friday by WikiLeaks in which Brad Marshall, the DNC’s chief financial officer, suggested that the party should “get someone to ask” about “his” religious beliefs, meaning Sen. Bernie Sanders, who at the time was waging a surprisingly strong challenge in the Democratic presidential primaries against former Secretary of State Hillary Clinton. The email was one of approximately 20,000 emails published this past weekend and which showed a DNC favorable to Clinton over Sanders. The leaked emails caused DNC chair Debbie Wasserman Schultz, who like Cohen and Sanders is a Jewish member of Congress, to resign Monday from the party post. "I find that politics despicable, and I say it as an American but also as a politician who has had race and religion used against me,” he added. Despite his concerns about the DNC’s treatment of Sanders, Cohen, a superdelegate, called on Sanders supporters to back Clinton as the party's nominee.